At the Citizen Jane Film Festival, The Foreigner's Home uses the words of author and Nobel Laureate Toni Morrison to take us on a journey through otherness and identity. At 87, Toni Morrison is a direct woman. The Nobel laureate in literature has long contemplated her legacy, and the larger meaning of art, society and belonging. A moving piece of evidence for this unfurls in The Foreigner’s Home, a feature-length film, making its regional debut at the Cleveland Museum of Art, 35 miles east of Morrison’s childhood town of Lorain, Ohio. The Foreigner’s Home is author and Nobel Laureate Toni Morrison’s meditation on the role of artists as chroniclers, curators and critics of the collective soul of humanity. 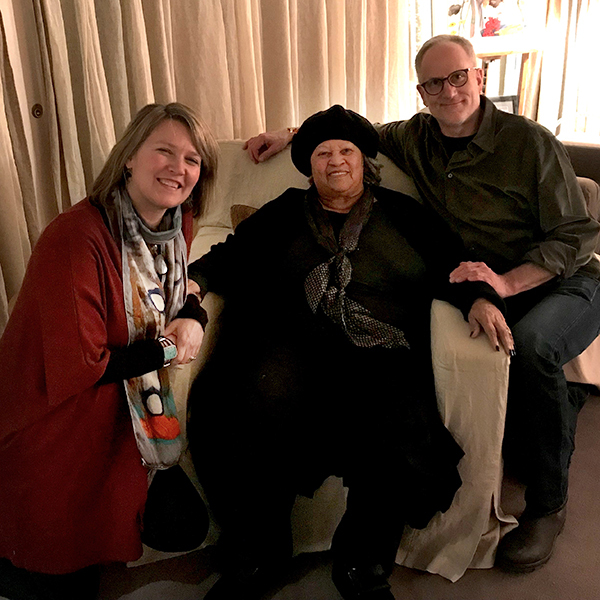 is lifting off her page and into the boat and the bird,"
A documentary about Toni Morrison’s artistic and intellectual vision directed by cinema studies faculty Rian Brown-Orso and Geoff Pingree will premiere in early 2018.